Righteous Rhymes by Jamie Lash — Train up your children in righteousness with anointed music and teaching CDs that minister the peace, love, joy, and salvation of the Messiah Yeshua (Jesus). Righteous Rhymes educates and edifies. Includes Volume I for children 1-7 years of age and Volume II for children ages 4-10. One coloring book and double CD. 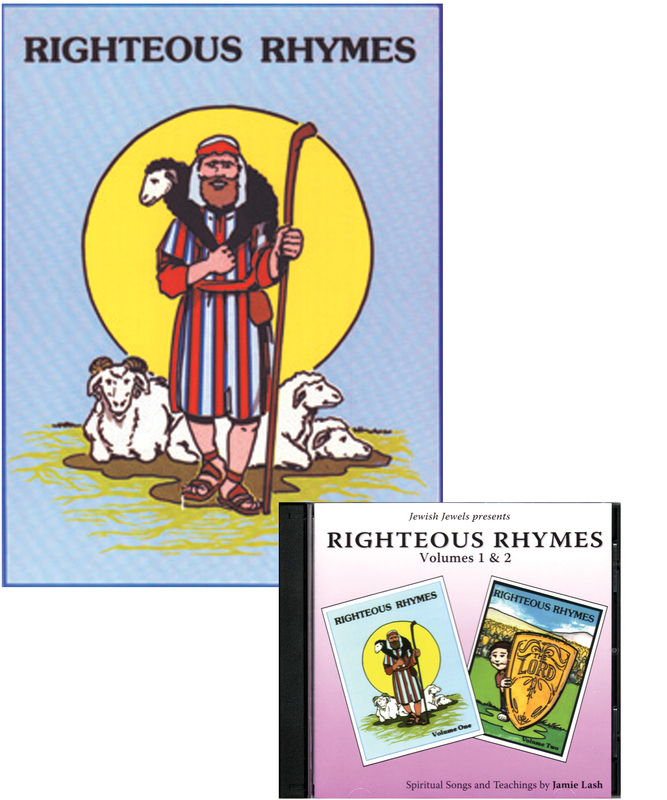 Righteous Rhymes is great to teach young children biblical truth and nursery rhymes that have a moral lesson. My 5yr old & 2yr old both love listening to and sing along with the cd.